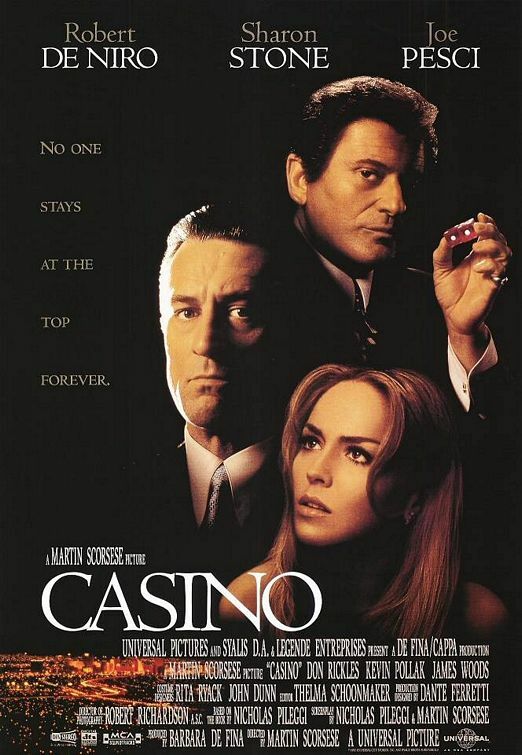 In Martin Scorsese’s classic crime film Casino, actor Joe Pesci plays a vicious mob enforcer and hitman in Las Vegas who reports to the “bosses back home,” as Pesci’s character describes them in the film’s voice-over narration. The bosses are portrayed in the film as a group of elderly and infirm men who hang around eating, playing cards and collecting money from their criminal underlings. 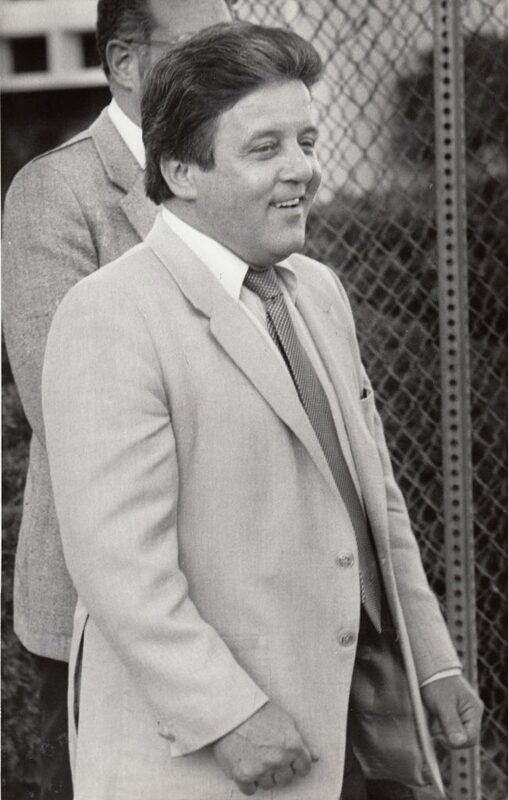 Pesci’s character, based on a very real gangster named Anthony Spilotro (seen in the above photo), is brutally murdered, along with his brother Michael, in a mid-west cornfield in the film. Their murder, along with several other murders, were ordered by the bosses back home. 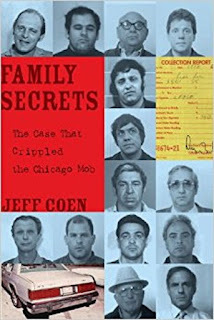 Family Secrets: The Case That Crippled the Chicago Mob covers the Spilotro murders and much more in this revealing look at organized crime. The book, written by Chicago Tribune reporter Jeff Coen, covers the trial of the Outfit bosses in 2007. The investigation of the Outfit began in 1998 when the FBI received a letter from Frank Calabrese Jr., son of one of the Outfit’s most violent bosses, Frank Calabrese Sr (seen in the above photo). Due to a sour relationship with his father, the son told the FBI that he was willing to wear a wire and gather evidence against his father while they were incarcerated together. The father enjoyed explaining how the Outfit worked to his son. He also allowed his son to observe how he conducted business from the prison yard. 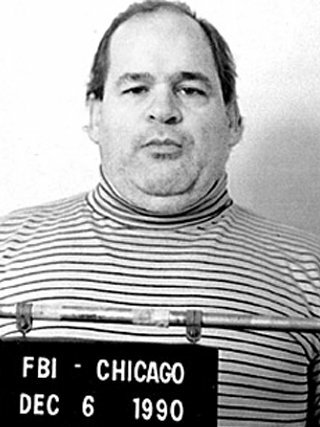 The FBI was later able to turn Nicholas Calabrese, a hitman for his brother Frank Calabrese Sr., into the key witness against the Outfit bosses. The FBI called the seven-year investigation “Operation Family Secrets.” According to the FBI, the list of those charged read like a “Who’s Who” of the Chicago mob. 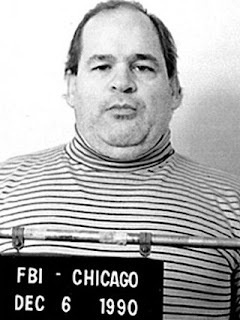 After several mobsters pleaded guilty, the remaining five defendants were Frank Calabrese Sr., James “Jimmy Light” Marcello, the reputed boss of the outfit, Joey “the Clown” Lombardo, a tough, old school mob boss, Anthony “Twan” Doyle, a former Chicago police officer accused of leaking information to Frank Calabrese Sr., and Paul “the Indian” Schiro, an outfit enforcer. In September of 2007 the jury convicted the five men on broad conspiracy charges. Jeff Coen does a fine job covering the trial and he offers vivid descriptions of the defendants, the witnesses and the victims. He also offers a good portrait of the defense attorneys and the prosecutors, who were as colorful as the gangsters. Reading this book makes you feel as if you are sitting in the courtroom. This is a very good true crime book.